As soon as the first day of spring arrives, our hearts beat a little bit faster in anticipation of the warm weather to come. Our minds skip to shopping the latest spring trends. What is everyone going to be wearing; more importantly, what trends are we going to be wearing? Well, turns out things are about to get funky in the best way possible. It’s all about colors – hot pink, slime green, and loads of creamsicle orange. Tie dye has finally hit its stride, and clothing has reached peak comfort. Let the changing of seasons be your opportunity to step outside of your sartorial safe space. After all, spring is all about transformations — so find yours, whether it’s a silhouette you’d written off, a shade you never thought you’d wear, or trend revival you had forgotten about. Another key philosophy for the season: don’t stress over finding items that “go with everything.” Instead, the strategy is all about statement pieces. Choose the trends that resonate with you, because it only takes one piece to participate in a trend. And keep in mind: attempting to wear every spring trend is futile (and counterproductive). The joy and magic of trendspotting is observing which ones you gravitate towards and how you can interpret them. Click through for 10 spring trends that we’re keeping our (itchy allergy) eyes peeled for. Comfy pants coming right up! If your legs are in desperate need of a break from the usual denim, and sweatpants are too passé, finely pleated pants are the way to go. No tiara needed here. These dresses come with lots of fabric and a loosey goosey silhouette. 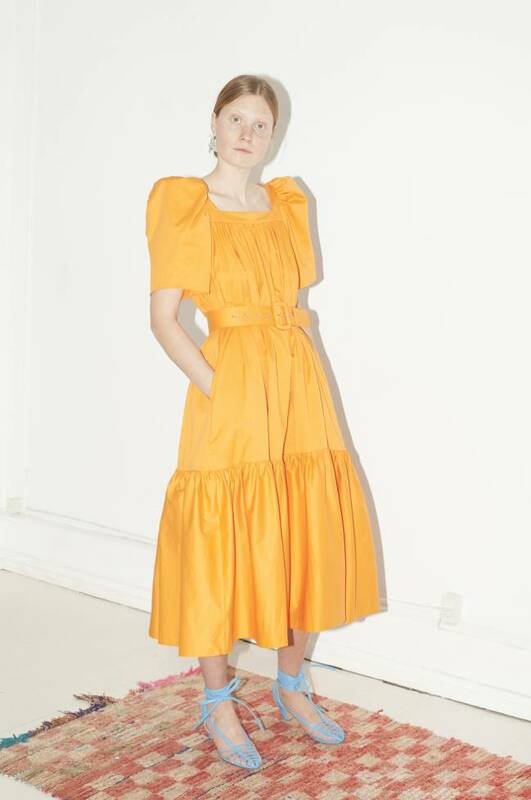 What the dress lacks in structure, the sleeves make up for with a strong poplin puff. Missing Malaysian Jetliner: Was It The Co-pilot? Miles Teller: Did Greed Cost Him The Lead In La La Land?